DUBLIN and CHICAGO - October 15, 2015 - Medtronic plc (NYSE: MDT) today announced favorable seven-year data maintaining improved clinical outcomes and patient satisfaction for the Prestige LP(TM) Cervical Disc compared to anterior cervical discectomy and fusion (ACDF). The Prestige LP Disc - indicated for single-level cervical disc disease - is designed to preserve motion in the neck at the operated disc level, unlike a fusion surgery that does not allow for motion. The data, results of seven-year patient follow-up, were presented today by Matthew Gornet, M.D., an orthopedic surgeon at the Orthopedic Center in St. Louis, MO, at the 30th Annual Meeting of the North American Spine Society (NASS) in Chicago, IL. "The seven-year results of this study show that patients receiving cervical disc replacement maintain motion and quality of life," said Dr. Gornet. "At 24 months, Prestige LP patients demonstrated statistical superiority in overall success, and we see that trend continue in this seven-year data." Prestige LP patients exhibited a statistical improvement in overall success (74.9%) compared to patients treated with ACDF (63.2%).i Patient-reported pain outcomes, such as Neck Disability Index (NDI), were statistically similar between the groups. Prestige LP patients maintained 6.9 degrees of mean angular motion at the treated level. Median return to work time for Prestige LP patients was 40 days, compared to 60 days for fusion patients. Device-related adverse events were similar in both groups. "Motion in the neck matters, which is why Medtronic has built the most comprehensive portfolio of cervical disc technology," said Tommy Carls, vice president of Research and Development of the Spinal business, which is part of the Restorative Therapies Group at Medtronic. "We're committed to developing meaningful innovations - like the Prestige LP Disc - that fundamentally change patients' lives." 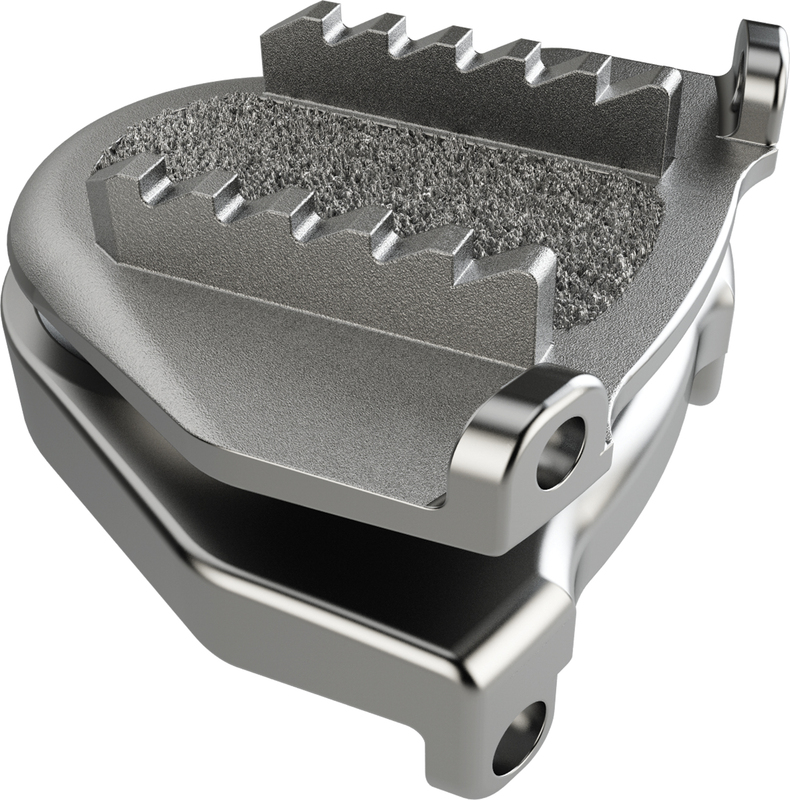 The Prestige LP Disc is the third clinically-proven artificial cervical disc in Medtronic's portfolio. Medtronic is the only company that offers cervical discs that are proven statistically superior in overall success at 24 months for a single-level indication. The low profile Prestige LP Disc has a ball-and-trough design and moves in a range of motions, including bending, rotation and translation. Risks of the Prestige LP Disc include, but are not limited to: bone formation (including heterotopic ossification) that may reduce spinal motion or result in a fusion, either at the treated or at adjacent levels. The Prestige LP Disc's titanium ceramic composite design has been shown to have a lower wear rate than stainless steel in mechanical testing and produces less MRI scatter than cobalt chrome (MR Conditional at 3 Tesla). Medtronic's Spinal business, based in Memphis, Tenn., is the global leader in today's spine market and is committed to advancing the treatment of spinal conditions. Medtronic's Spinal business collaborates with world-renowned surgeons, researchers and innovative partners to offer state-of-the-art therapies for spinal, neurological, orthopaedic and oral maxillofacial conditions. Medtronic is committed to developing affordable, minimally invasive procedures that provide lifestyle friendly surgical therapies. More information about Spinal's therapies can be found at the business unit's patient-education website, www.back.com. i Overall Success is decided by combining the results from five different measurements of safety and effectiveness.